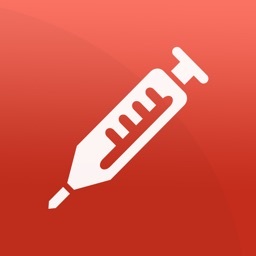 Medicine Toolkit is a medical education app developed and used at Harvard's top teaching hospitals. Bayes at the Bedside enables you to apply Bayesian reasoning to patient care in real-time with a database of over 175 likelihood ratios. 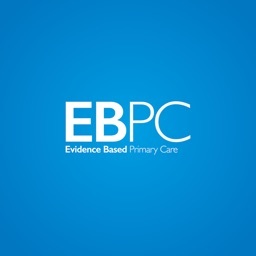 Pocket Evidence provides summaries of over 440 teaching articles with PubMed links at your fingertips in the classroom, the clinic, or the wards. 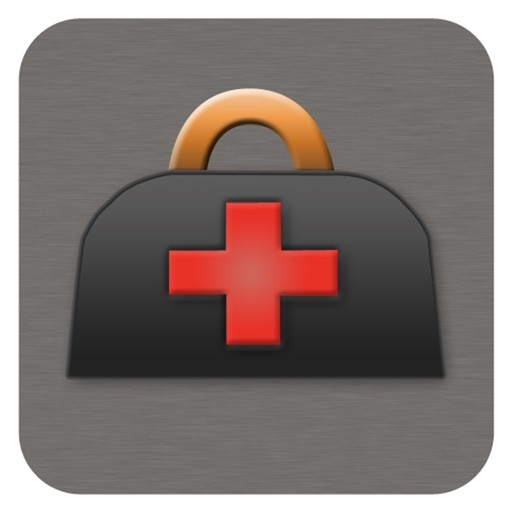 This app has been developed by healthcare professionals for healthcare professionals. 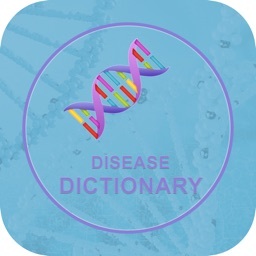 It brings the latest in clinical reasoning and evidence based medicine to your fingertips in a format that's fun and easy to use! 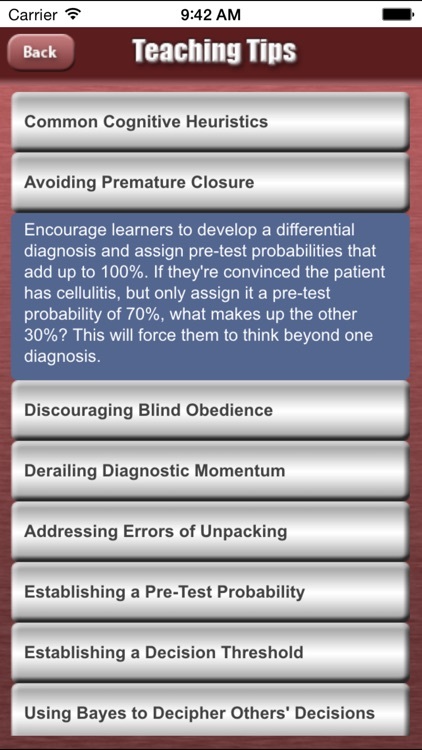 Medicine Toolkit currently consists of two teaching components, "Bayes at the Bedside" and "Pocket Evidence" (2 apps in 1!). 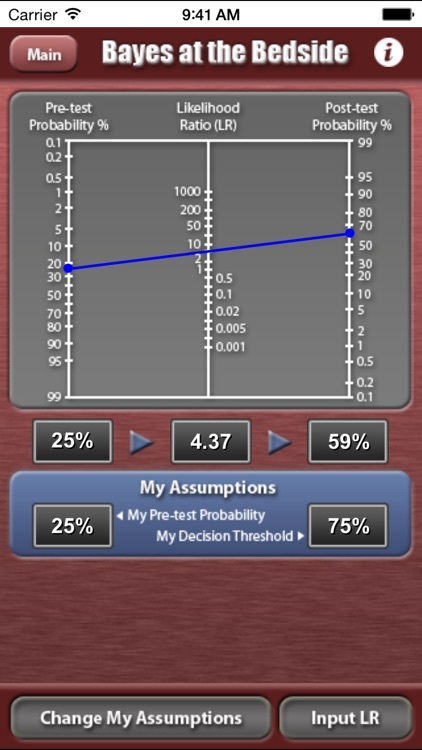 Use over 175 likelihood ratios to apply Bayesian reasoning to clinical care in real-time! A little rusty on biostats? 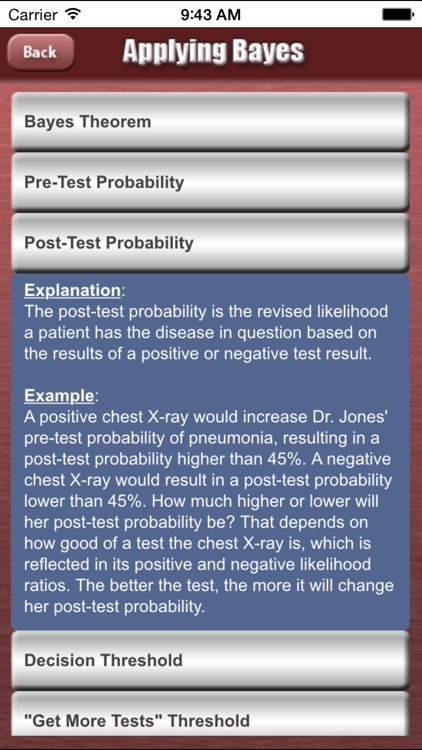 Use our case-based statistics review to refresh your memory on applying Bayes to patient care, and then turn to our teaching tutorial to learn about common errors in diagnostic reasoning and how to use Bayes' theorem to turn clinical pitfalls into teaching opportunities! Can't keep all of the heart failure trials straight? Ever wonder just how the CHADS2 score came to be? Or feel at a loss when a resident cites a recent article you haven't seen, or a medical student asks what they should read that night? With Pocket Evidence, have summaries of over 440 review articles, consensus guidelines, landmark papers, and new and notable articles covering 70 topics in internal medicine available at your fingertips. 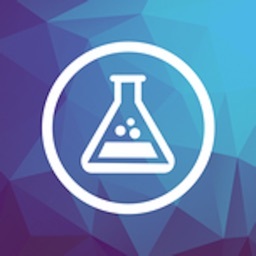 Email the PubMed links to yourself and your team in real-time, and take a closer look at the literature that shapes how we practice medicine today. "A must have for all clinicians, especially those involved with academic medicine." 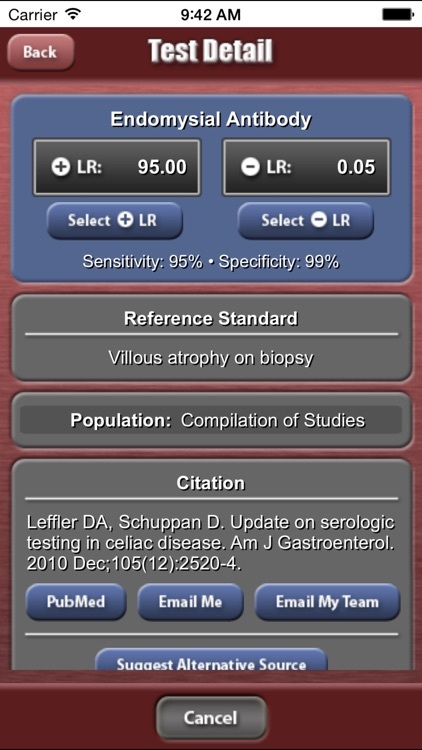 "Great app to have at the bedside, on rounds, or to catch up on the latest data/reviews/guidelines/management strategies." 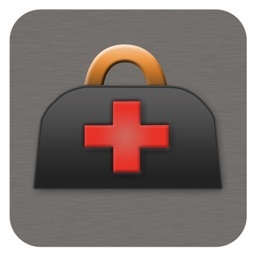 "This is a very needed app in the current state of healthcare. 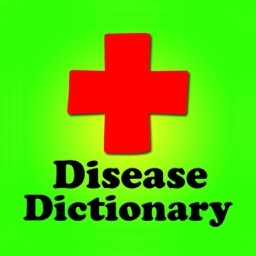 Provides evidence supported clinical decision support. It is really cheap if compared with the potential for excellent patient outcomes, decrease in cost from unnecessary testing, and as well for its incredible academic value."